Ace’s theater has something for everyone. The Ace 2017 Spring Convention & Exhibits is your one-stop shop to get it all! We understand how valuable your time is at the show, and this year, based on your feedback, we’ve brought back our Retail Training Theater. In Atlanta, put the theater at the top of your to-do list. Shorter training sessions provide tools you can take back to your store. Come learn from merchandising departments, program leaders and vendors that are committed to your success. No extra registration is needed — it’s free and walk-ins are always welcome. 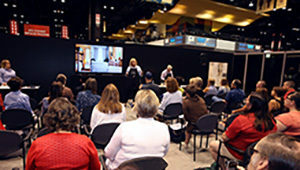 Stop by the Retail Training Theater at Booth #5061. Register now and begin creating your show agenda!